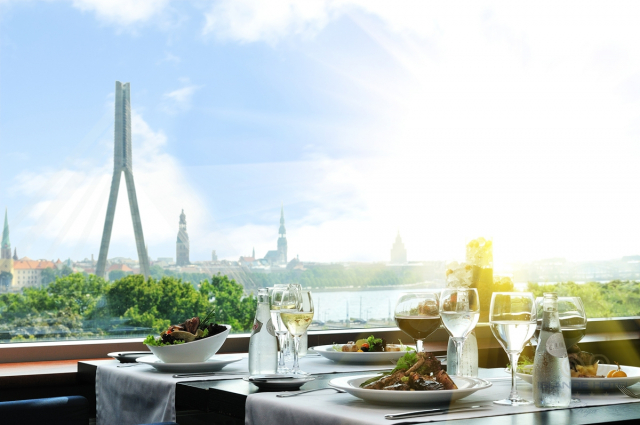 The congress on July 2nd will be held in Riga Technical University Faculty of Power and Electrical Engineering in Riga, Ķīpsala (12/1 Azenes street) on the left bank of river Daugava, just across the bridge near Riga Old city and Presidential palace. Just 5 minutes away by foot from Riga Technical University is the accomodation available in Riga Islande Hotel. This 4 star hotel is the most reasonable location to stay in during congress (July 1st to July 4th) because of the special price offered and distance, as programme of all days starts and ends in this venue. 50 EUR for double room (per night). Please note that special price is valid until June 1st, 2019 and that it is not available through any other reservation channels (like booking.com or other system) – only through the e-mail as mentioned before. Riga Islande Hotel is about 20 minutes away by car from Riga International Airport (RIX). There will be a shuttle bus for the congress participants available from RIX to Riga Islande Hotel on Monday, July 1st and back on Thursday, July 4th. You can also use the shuttle services provided by the hotel or the public bus (~2 euros, closest stop near the hotel is "Ķīpsala") or a taxi (~15 euros). It is about 1,5 hour drive from Riga Islande Hotel to LVM Nature park in Tērvete where the congress will be held on 3rd of July. Organised buses will be provided for all the particiants. For detailed timeschedule see the programme. In case of any questions, please contact us. LVM Nature park in Tērvete is the most visited forest in Latvia! Welcome!